Content marketing is an integral strategy for any business competing in today’s digitally driven environment. It’s a marketing approach that involves the creation of high quality, valuable content. The aim of this content is to attract and engage with a specific target audience, to drive profitable customer action. 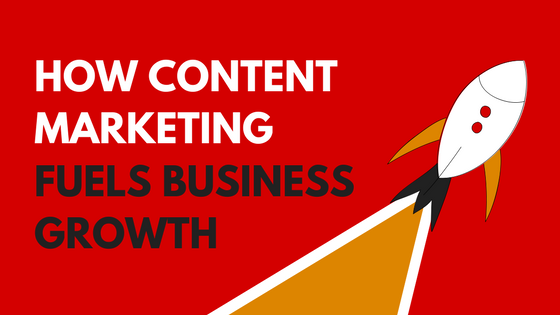 Content marketing provides you with the ability to reach your marketing and business goals. Simply by giving customers the information they want, when they want it, on the channels they use. It differs to traditional marketing (commercials, direct mail etc) in that instead of ‘pushing’ your product to the customer, content marketing ‘draws’ a customer to your business. This is achieved by creating content that helps to solve their problems. Did you know that shared content is actually 1.5 to 2 times more likely to influence customer behaviour compared to a traditional TV commercial? You may or may not also be aware of the fact that today’s consumer is more responsive to content marketing rather than traditional marketing. Content marketing comes in many forms and is published or distributed through a range of media. Your website or blog, your social media pages and your customer database provide ideal avenues to gain desired actions from new and existing customers. Shoppers are now using on average 10.4 sources of information to make a purchase decision. It’s therefore understandable that in today’s competitive online landscape, it’s crucial to have an integrated content marketing approach. This can be accomplished by creating a range of content types that appeal to your customers at each stage of their path to purchase. So it makes sense to start by developing a solid plan and strategy, as the first step to success. Once established and you’ve begun distributing your content, there are various tools available to track and measure success. Once you’ve identified your target audience, get in touch with Marketing Wing to begin formulating a content marketing strategy. One that suits your business needs and your budget. We’ll begin by taking the time to get to know your organisation, your key business objectives and your customers. We can then tailor a plan for your organisation that includes channel selection, suggestions for original content, optimal frequency, search optimisation and measurement. After completing your plan, it’s time to start producing original content to drive engagement, leads and sales. Marketing Wing provides a range of content creation services including email marketing, website marketing, blogs, social media marketing and more. Get in touch with us today and see how you can gain expert assistance with content marketing. Or schedule a complimentary 30 minute consultation to discuss any of your marketing needs. Unsolicited sales/commercial related emails are not wanted, therefore are not to be delivered via our email address or the above form.